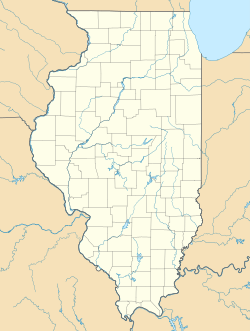 Middle Fork State Fish and Wildlife Area is an Illinois state park on 2,700 acres (1,100 ha) in Vermilion County, Illinois, United States. It is located about 6 miles (9.7 km) north of Interstate 74 and the Oakwood exit. Its name comes from the Middle Fork of the Vermilion River that flows through the area. "Middle Fork State Fish and Wildlife Area". Illinois Department of Natural Resources. Archived from the original on 2007-06-15. Retrieved 2018-07-18. USGS. "Middle Fork State Fish and Wildlife Areas, USGS Potomac (IL) Quad". TopoQuest. Retrieved 2008-07-05. This Vermilion County, Illinois location article is a stub. You can help Wikipedia by expanding it. This page was last edited on 18 July 2018, at 14:15 (UTC).